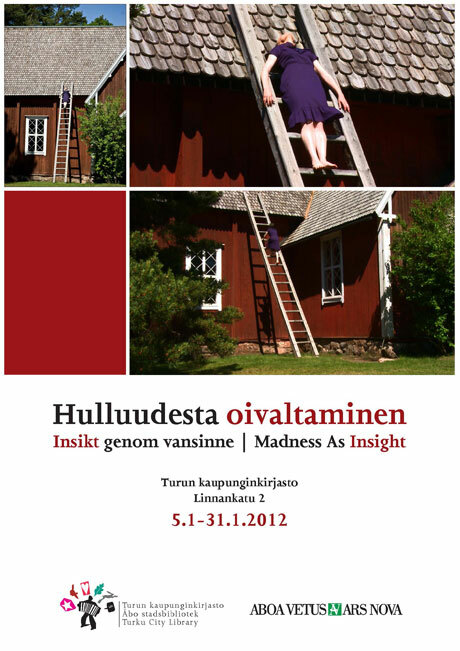 In the Turku city library, a satellite exhibition as a gloss to Landscapes of Madness is held during january 2012, the final month of the exhibition in the museum Aboa Vetus & Ars Nova. A monitor shows a video that combines Landscapes with Sissi Outside, from the inside out, through the window. Inside, furthermore, Sissi’s Treatment is projected on a larger led screen, while in a low triangular shape, three monitors will display elements that explain the project, with an emphasis on Seili - the island near Turku where a good part of the footage was shot. Somewhat separate from this, The Msking Of, the somewhat hilarious account of how the film was made, with actors errors included, will counterbalance the seriousness with amusement. This small exhibition provides the more intellectual background to the project. 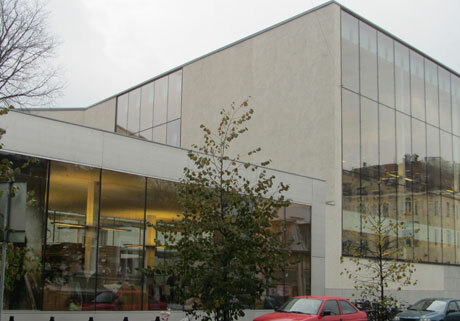 The lobby of the library is a busy place and normally, 4000 visit the lobby each day.